This marshmallow creme fudge recipe is so easy and so good! It comes together quickly, doesn't require any special equipment or techniques, and is made from easy-to-find ingredients. But the best part? It's delicious! It has a rich chocolate taste and a smooth, creamy texture thanks to marshmallow crème. ​This fudge is also a great jumping-off point for other recipes. Try adding your favorite flavoring extracts, or fun mix-ins like crushed cookies, other nuts, dried or freeze-dried fruits...the possibilities are endless! Line a 9 x 13-inch pan with foil and spray the foil with nonstick cooking spray. Combine the sugar, butter, and milk in a large saucepan over medium heat. While stirring constantly, bring the sugar, butter and milk to a boil. Continue to boil the sugar mixture for 5 minutes on medium heat. If you have a candy thermometer, you can use that instead. Insert it when the fudge starts boiling, and cook until the candy thermometer reaches 234 F. Don’t stop stirring during the entire process. Remove the pot from the heat. Stir in the chocolate chips until they are melted and the mixture is velvety and smooth. Add the marshmallow crème, and stir until it is completely combined. Finally, add the vanilla and the nuts, and stir until the nuts are evenly distributed throughout the fudge. Spoon the fudge into the prepared pan and use a spatula to smooth the top of the fudge. Allow the fudge to completely cool at room temperature. Once the fudge is cool, cut it into small squares to serve. 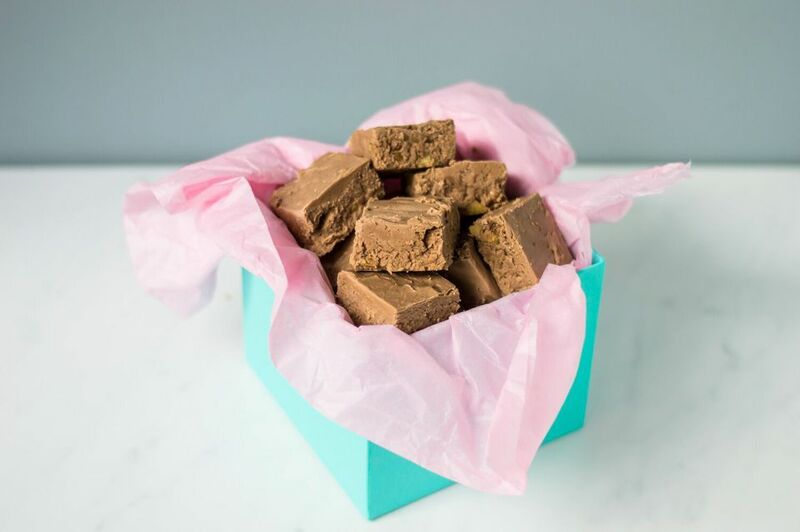 This fudge can be stored in an airtight container on the kitchen counter for one week. This fudge can also be kept for up to two weeks in the refrigerator.